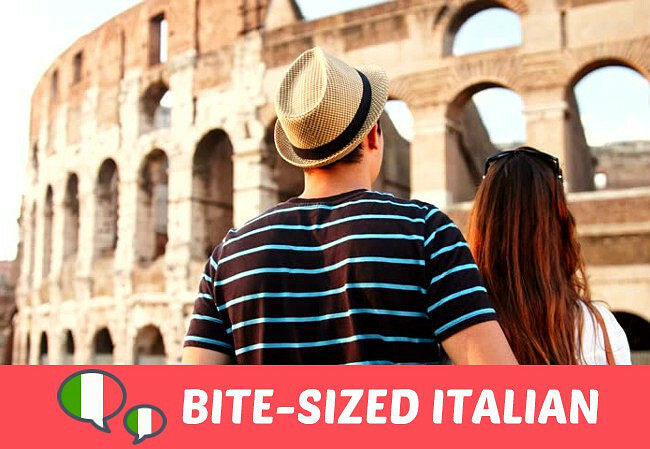 We want to celebrate Valentine’s Day (San Valentino) and the month of love (amore) with the first ever bite-sized Italian lesson of the year. This is a new column that we’ve put together to make your stay in Italy not only easier but loads more fun! So, cherish this mini guide to love-related expressions in Italian. After all, is Italian the definitive language of love, or isn’t it? It might come in useful during your next candlelit dinner in the ‘bel paese’, enjoying a delicious bowl of pasta and a glass of wine, but in other places too… Get ready for Valentine’s Day! Compared to ‘ti amo’, which conveys a more passionate nuance, ‘ti voglio bene’ is more used with siblings, parents and good friends than with lovers, but it can also be used with lovers. It means you care for them and your feelings towards them are very tender. This is just the first ‘bite-sized Italian’ nugget for you, so stay tuned for the next installment. But if you really want to learn Italian or improve your language skills, we recommend our intensive language course. It’ll be fun and you’ll learn a lot! Click here to find out more! Do You Speak Italian? Learn It with Us! Your Guide to Italian Emotions. Evviva! Autumn in… Italy – 7 Reasons Why You’ll Love It! Live in Italy, Speak Italian, Be Italian!